'Prim' Available for Adoption Now! This adorable six month old/16 lb, female, puppy was recently rescued from a family who no longer wanted her. A special thank you to Aurelie and Azita for spotting the family holding a crate in the parking lot of the shelter and offering to take her into rescue. Prim is now happily enjoying puppyhood with her foster mom, Azita. She has received her first puppy vaccinations and is scheduled to be spayed and microchipped on January 15th. Prim is very sweet and smart, and is building confidence with every day. She is pee-pad and crate trained. Based on her current weight she should weigh in the 34 - 38 lb. range when fully grown. 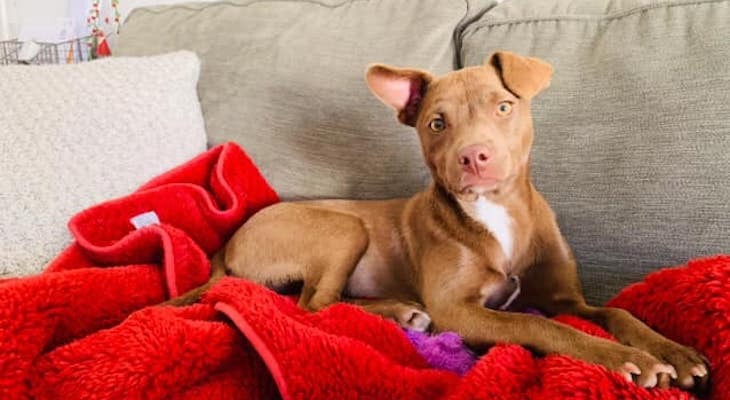 If you are interested in adding this adorable puppy to your family please visit our website at www.sparkrescue.org and submitting a dog adoption application. Thank you for choosing to adopt. She is BEAUTIFUL. If I didn't already have two Huskies I'd want to adopt her.